TV One launches its latest installment of HelloBeautiful Interludes Live featuring the Grammy® Award-nominated, R&B/jazz recording artist, songwriter and actress Ledisi. 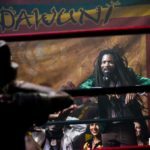 Filmed at Philadelphia’s Theatre of Living Arts, the intimate performance will premiere on Saturday, November 29th at 10PM/ET. Performing songs heralded as her most open, sensual and confident material to date, the one-hour special will inspire audiences to expose their hearts and live in their own truth. 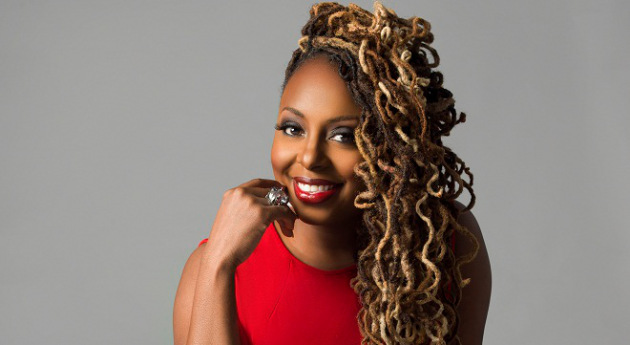 HelloBeautiful Interludes Live: Ledisi features soul-stirring renditions of her past hits such as Bravo, Pieces of Me and as well as her latest fan favorite – Like This as well as other songs from her latest studio effort, The Truth. Additionally, fans will be treated to an exclusive look at the woman behind the melody as Ledisi sits down for a candid discussion on the various influences and training that has shaped her sound over the years, breaks down the meanings of some behind her tracks and shares some of the biggest lessons learned throughout her career. The full performance and supplementary online-only footage will be available on Interactive One’s HelloBeautiful.com. This special is the latest example of cross-platform collaboration between TV One and Interactive One that began when the Interludes series – originally only available online – was brought to the TV network in September 2013 with HelloBeautiful Interludes Live: John Legend. Other installments of the series have featured Alicia Keys, Toni Braxton & Babyface, Jennifer Hudson, Trey Songz and KEM. HelloBeautiful Interludes Live: Ledisi is hosted and Executive Produced by Smokey Fontaine for Interactive One. Leigh Davenport is the Editorial Director for HelloBeautiful.com and Jubba Seyyid is Executive in Charge of Production for TV One. Launched in January 2004, TV One (www.tvone.tv) serves more than 57 million households, offering a broad range of real-life and entertainment-focused original programming, classic series, movies, and music designed to entertain, inform and inspire a diverse audience of adult Black viewers. In December 2008, the company launched TV One High Def, which now serves 14 million households. TV One is owned by Radio One [NASDAQ: ROIA and ROIAK; www.radio-one.com], the largest radio company that primarily targets Black and urban listeners; and Comcast Corporation [NASDAQ: CMCSA, CMCSK; www.comcast.com], one of the nation’s leading providers of entertainment, information and communications products and services.